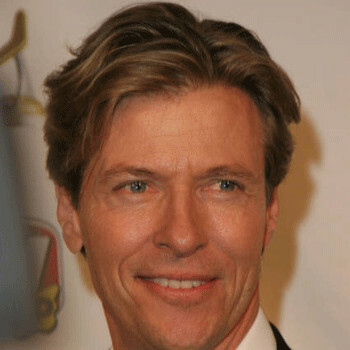 Peter John AKA "Jack" Wagner is an American actor-singer. He is widely known for roles on the soap operas General Hospital, Santa Barbara ,The Bold and the Beautiful and Melrose Place. He attended St. Gertrude's parochial school and St. Francis Borgia Regional High School which were both located in his hometown.He was raised Catholic and was fond of football and basketball. Wagner was placed at #5 in the Top 10 Worst of the 80s' by Much Music ,Canada. He used to play golf and had won the Club Championship at The Bel-Air Country Club 3 times. Wagner was married to an actress kristina Malandro in 1993. They had some trouble in their marital relation so they filed for divorce twice which was finalized in 2006.They have 3 children Harrison Wagner, Kerry Wagner and Peter Wagner. In 1983, Wagner got his big break when he landed the part of Frisco Jones in television's most popular daytime soap opera, General Hospital. In 1985, for the hit song "All I Need" that he recorded reached no. 2 on the Billboard Hot 100 Charts. He had an affair with a woman in the late 80s' that resulted in birth of a baby girl and she was given up for adoption. He met with his daughter Carrie after 23 years while preparing for a concert in West palm. Trevor Morris is a music artist. He is an orchestral composer and also a talented music producer. He is also well known for being the creator of electronic music. April Billingsley is a beautiful and attractive American actress. She rose to fame after portraying her role in movies like Last Vegas, Andre the Butcher and television sitcom The Walking dead. American All-Star Cheerleading athlete and actress, Gabi Butler, gained fame upon joining the ‘California All-Star SMOED’ cheerleading team, the team that is featured on the YouTube web show Cheerleaders. Lamar Johnson is a talented dancer who began learning dancing on his own. He has also appeared in Family Channel's hit dance series The Next Step.